Join the C-RS Cleveland for a Meet and Greet with Bishop Milan Lach, SJ from 2-4 pm at the Parma Snow Library, 2121 Snow Road, Parma, OH. Have you met the new Bishop? Join us as Bishop Milan Lach, SJ tells us a little about himself, growing up in Slovakia and what he thinks of life in the US. You will have an opportunity to ask questions. Light refreshments will be served. 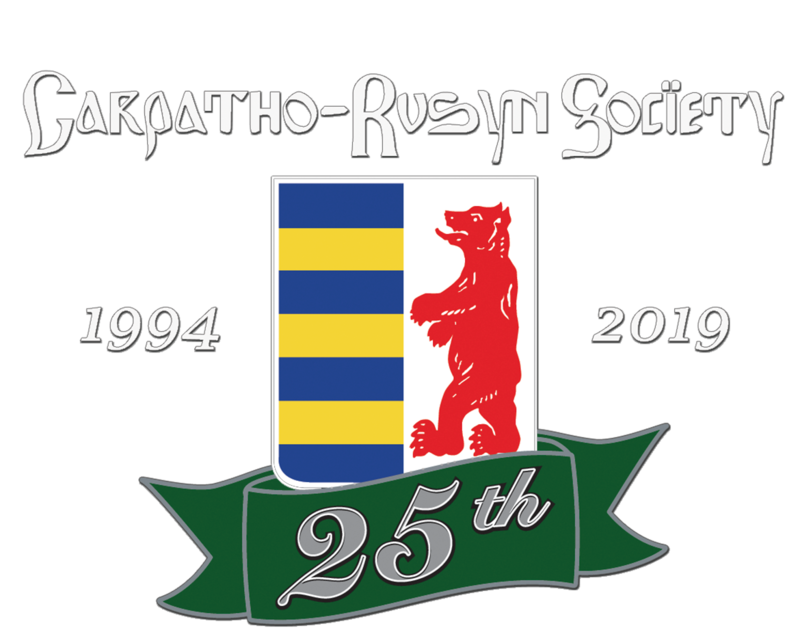 The Carpatho-Rusyn Society is a non-profit, 501(c)(3) organization dedicated to manifesting Carpatho-Rusyn culture in the United States and supporting Rusyn culture in the Homeland in east central Europe. It works to educate Rusyns and non-Rusyns about Rusyn culture and history, and to support the development of Rusyn culture on both sides of the Atlantic. As a membership organization, it boasts over 1,800 members worldwide who support the organization's work through their annual contributions of dues as well as voluntary contributions to funds that support Rusyn cultural development abroad as well as humanitarian aid for Rusyn communities in Europe.